"Choose a job you love, and you will never have to work a day in your life. ". 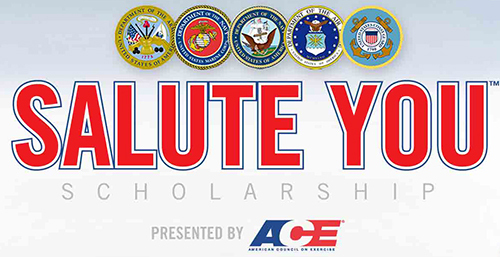 When Military Service ends, ACE can help you continue to lead. tools you need to help people change their lives through fitness. like you launch a new career and serve in a whole new way. USAJOBS 3.1 screens applicants’ responses to questionnaires found in most vacancy announcements in support of the level of experience you claim for specified questions. This step and your responses will determine if you qualify for the specific position. The responses to these questions and your experience, skills, education, training and accomplishments must be specified throughout your USAJobs resume. The USAJOBS online Resume Builder has its own limitations and requirements. That means your information must meet the required format, keyword criteria and characters permitted. USAJOBS hosts many thousands of job applications for a variety of federal job openings in the U.S. and around the world. Online formats tend to be restrictive and each has different format requirements. If not written correctly with the required USAJobs resume format, your application may end up being automatically rejected. Now that USAJobs is searchable throughout all federal agencies looking for qualified candidates, it is important to build your USAJobs resume in the builder instead of uploading your resume. This will not harm your chances if you just upload your resume as an attachment for the specific job you are applying for, but when you apply for a vacancy using the online builder it will display specific keywords in custom data base searches when other agencies are seeking job candidates with your experience. It is very important that you know exactly how to code or write your USAJobs resume to generate a hiring authority’s interest in you. There are a different set of keywords for every job. Sometimes building your USAJobs resume can be overwhelming because they are much more comprehensive than applying for private-sector jobs. Unfortunately there is no reference book on keywords, but if you look at the job duties and specialized skills on each vacancy announcement you will find the keywords populated within the wording. The bottom line is that the federal government now can search resumes on the USAJobs system by job-specific keywords. If your USAJobs resume is not populated with those words, it does not have a chance of being flagged for consideration for other positions that may become available. So don’t miss the chance to have your resume searched for other federal job opportunities. President Barack Obama's push to hire military veterans for jobs across the government is fueling resentment in federal offices, as longtime civil servants and former troops on the other side of the cubicle increasingly question each other's competence and qualifications. With veterans moving to the head of the hiring queue in the biggest numbers in a generation, there's growing bitterness on both sides, according to dozens of interviews with federal employees. Those who did not serve in the military bristle at times at the preferential hiring of veterans and accuse them of a blind deference to authority. The veterans chafe at what they say is a condescending view of their skills and experience and accuse many non-veterans of lacking a work ethic and sense of mission. At the Government Printing Office, six of eight electricians who have joined the electrical shop in recent years are former military members. But Robert Chaney, the shop's senior mechanic and a non­veteran, said some arrived without electrician's licenses. One was hired over the phone from Michigan, he said, then quit soon after starting. "It's hard to tell until they get here," he said. "Then you realize this guy doesn't know common electric components that a one- or two-year electrician should know." But Laura Barmby was pleasantly surprised when she ran a training session this summer for the Commerce Department that included veterans. In a role-playing exercise, the eight veterans banded together in reaction to a natural disaster, devising a novel response to offer emergency services to the public. "When a group gets a certain preference, there's an inclination to say somehow they're less than" others, Barmby said. "But they have the real-world experience of having challenges put in their way they need to overcome. If they're able to do the job, what's wrong with helping someone who risked their life for their country?" Obama began accelerating the hiring of veterans five years ago in response to the bleak employment prospects many service members faced after coming home from Afghanistan and Iraq. It is the government's most visible effort to reward military service since the draft ended in the 1970s. Veterans benefit from preferential hiring for civil service jobs under a law dating to World War II, but the administration has boosted the extra credit veterans get, giving them an even greater edge in getting those jobs. The government has also set hiring goals for veterans at each agency, and managers are graded on how many they bring on board, officials said. Last year, veterans made up 46 percent of full-time hires, the Office of Personnel Management said. They now represent a third of the federal workforce, holding positions well beyond the Defense and Veterans Affairs departments. Their colleagues in the civil service say that while veterans work hard, they rarely display independent thinking. "You're getting a very conservative worker that's very narrow-minded," said Bob O'Brien, a technology specialist for the Office of Personnel Management. About 90 of the 100 computer experts in his office in suburban Maryland are veterans, he said. "In meetings, you can't question anything," O'Brien complained. The veterans' attitude to their supervisors, he said, is: "You're my boss. You could be a complete lunatic, but I won't question you." During the longest stretch of war in American history, many veterans have served multiple combat tours. They say they have earned a right to preferential treatment and resent the perception that they are grunts unqualified for civil service. "I've heard people say, ‘I've applied for a job, but some veteran's just going to get it,' " said Mark Butler, 56, a Navy veteran who investigates fair-housing violations for the Department of Housing and Urban Development in Boston. "I think veterans bring so much to the table," he added. "The military is not all screaming, yelling [at] people to charge up the hill and kill, kill, kill." By law, veterans who meet certain criteria related to where, when and how long they served and whether they were injured go to the head of the line when they are considered for civil service jobs. Troops with combat injuries or those disabled during their service get higher preference. Butler, for instance, developed bad knees and suffered from a degenerative disk disease during his 30 years in the Navy, qualifying him as disabled. For some open positions, a veteran can be hired without the job being advertised to the public. And veterans who are already in the federal workforce continue to receive preferential consideration when they apply for other government jobs. In some federal offices, seasoned employees are welcoming former service members as motivated go-getters who bring new energy to places where old-timers seem as if they are punching a clock until retirement. But in many others, interviews show, ill will is smoldering, and two very different cultures are clashing. The strains are deepening as the Defense Department cuts spending and sheds troops at the same time that federal budget pressures have shrunk the hiring of civilians to a five-year low. There are fewer jobs to go around. It's the same anxiety and resentment that came with the government's affirmative-action policies for African Americans. "I say to vets, ‘When you apply for a government job, if you are qualified, you should get the job,' " said Walter Elmore, 63, a drill instructor during the Vietnam War who set up an affinity group for veterans at HUD. He said that veterans suffer from a widespread misconception because "most people think if you're a vet, you don't have to be qualified." Some veterans are also frustrated that they are landing jobs that do not reflect their experience. Many of them had a lot of responsibility while still in their 20s, leading units into combat in Iraq and Afghanistan. Ebony Rankin supervised 50 sailors as a junior naval officer but initially settled for an administrative job at HUD with few supervisory responsibilities. It took her three years to move up to a more senior position administering grants to the homeless. "I try to tell veterans they've got to get in at a lower grade and work your way up," she said, "because the jobs are so specialized." Day to day, the two groups are trying to sort out their cultural differences. In her first week on the job as a management analyst in HUD's human resources office, Gwen Colvin, a former master sergeant in the Air Force, started to move the boxes she had brought with her so she could unpack them and hang her military commendations and other memorabilia on her office wall. Her colleagues told her to wait for the maintenance staff to do those things because that was the protocol. Colvin said she was dumbfounded. In her view, she needed something done, so she did what she did in the military: She got it done. "I swing a mean hammer!" she said. "I told them, ‘What do you mean, I shouldn't lift this box?' "
At the Interior Department offices in Albuquerque, it took a long time for a civilian, Earl Waits, to get used to young veterans calling him "sir." At first, it was jarring, said Waits, 65, the chief administrative law judge handling probate issues involving Native American lands. "But I understand that's just part of the culture they came out of," he said. A female manager at the U.S. Forest Service in Milwaukee said veterans make sexually suggestive comments to her and colleagues. "I understand their lives were on the line over in Iraq, but we have a lot of, quite frankly, complaints," said the manager, who spoke on the condition of anonymity because of the sensitivity of the issue. "They're a little rough with their people skills." But there are corners of the government where the two groups are in sync. At HUD's broadcast office, a team of 18 young engineers operates an in-house television station and runs the department's Web site. A third are veterans who did similar jobs in the military, and the boss, Bill Amos, is a retired Army master sergeant. On a recent Monday, the entire team trickled into a lunchtime staff meeting in the basement of their L'Enfant Plaza headquarters. The employees talked openly about their different work styles. Matt Frazer, who came from the private sector, said that if he found a different way to get something done, he would try it. But, he told the veterans, "you guys don't question the path to get to your goal." At the same time, he acknowledged some envy over the veterans' bond. "It's like you have your own fraternity," he said. veteran, defended those who came from the military, saying they are more driven. "Civilians just get promoted because of time," he added. During the meeting, it was hard to distinguish who had served in the military and who had not. Some of the non-veterans kept their hair in the tight-and-high style favored by the military. They ribbed each other over whether anyone could tell them apart. "This is where it starts," Landau joked, rolling his eyes in anticipation of the war stories to come. October 5-11 is Mental Illness Awareness Week. VAs throughout the country are taking the opportunity to educate staff and Veterans and their families about mental health conditions, emphasizing that treatment works and recovery is possible. We encourage help-seeking behavior and emphasize hope and recovery. With this in mind, VA joins America’s mental health community in promoting and expanding awareness of mental health conditions. According to the National Alliance of Mental Illness (NAMI), mental illness affects everyone. Nearly 60 million Americans experience a mental health condition every year. Regardless of race, age, religion or economic status, mental illness impacts the lives of at least one in four adults and one in 10 children across the United States. Dr. Harold Kudler, Chief Consultant for Mental Health Services, adds, "Mental Illness Awareness Week is a wonderful opportunity to raise awareness of mental health issues. VA, Veterans and the community come together during MIAW to send messages of strength, hope, and recovery. It is important for everyone to know that help for mental illness is available and that treatment works. "This week is an important time for us to focus on educating staff and Veterans that mental illness is not the result of personal weakness or lack of character. We want everyone to know that mental illness is treatable and that Veterans regardless of how serious their mental health condition, can improve and recover by actively participating in mental health treatment and a recovery plan." Across the country, VA medical facilities are holding special programs to focus on the road to resilience and recovery. The Minneapolis VA Health Care System is featuring a quiz game on mental health recovery in an e-mail "Daily Briefing" to all staff. They receive over 100 responses to the quiz each day. At the Pittsburgh VA Medical Center, the Recovery Action Committee is sponsoring a "Celebrate Recovery" cookout for Veterans with music provided by Veterans. The VA Northern Indiana Health Care System is having a keynote speaker followed by a resource fair organized around whole health resiliency factors. The theme is "Building Resiliency." In Topeka, Kansas, the Veterans Mental Health Council is hosting a free hot dog lunch for all Veterans in honor of MIAW on Tuesday and will hold a Resource Fair later in the month. The Wilmington, Delaware, VA Medical Center, in partnership with NAMI Delaware, will present an educational event focused on wellness and self-care for individuals with mental illness and their families. Gulf Coast Veterans Health Care System will be doing a series of email blasts about Mental Illness Awareness Week activities sponsored by NAMI across their service area that includes NAMI Connections groups, NAMI family Support Groups and information for Veterans about community based drop-in centers for people with mental illness that are available in Biloxi, MS, Mobile, AL, & Pensacola FL. Fresno, CA, VA will have a panel of five Veterans and their wives, celebrating Veteran’s stories of recovery and instilling hope "One Day at a Time." From a Veteran who attended a Milwaukee VA Mental Health Showcase: Pathways to Recovery: "It’s a reason that I came here today. You have given me hope. I didn’t know about the programs that were available to me." Learn more about mental health issues and how VA can help. How you format your job resume is the most critical step when it comes to your job search. Yes, how you dress in job interview matters, as does how you answer job interview questions. But for most of us, the job search starts mentally and emotionally with the creation of our resume, and it is our foundation. How we format our resume will absolutely determine whether our document will generate a call back or be sent to the round file for recycle so unfortunately, for many of us, this is also where the job search ends. In today’s post we explain how candidates with a few years of experience should be thinking about their formatting their job resume. If you have applied to jobs with your resume multiple times and not heard back from the hiring company, todays post is probably the root cause of the silence. Listing the same or similar accomplishment(s) more than once under different companies and different positions. Listing an equal number of accomplishments for the most recent experience, as we listed in a position that was held 10 - 15 years ago. If you have 7 bullet points under your most recent experience, we don’t want to have 7 bullets points listed under the experience from 15 years ago. The most common resume mistake I see when it comes to job resume format, is the listing of the same or similar accomplishment more than once. Candidate lists accomplishment "X" from a position early in their career and then lists a very similar accomplishment, under experience later in the career. The repeat of the accomplishment is a waste of resume space. Girl is hanging out with Boy for such a period of time that she is longing to hear the three magical words. Girls know what I mean and guys are wondering "WTF words is he talking about now?" Then one day, on a romantic picnic with birds chirping and a double rainbow, she hears the three words. Boy in a moment of weakness whispers, "I love you". And then she hears the same three words again, and again and again things start to go down hill. Girl is thinking: "Finally, he said it, he committed". Girl is thinking: "Ohhh, he really does love me". "I love you too". Boy: "I really love you". Girl is thinking: "Yeah, I get it, I heard you". Boy: "You are amazing, I love you". Girl is thinking: "You are creeping me out and ruining the moment". Boy says: "I lov. . . .". Girl: pushes boy away before he can finish and runs off sobbing before he can finish his sentence. If you list an accomplishment on your resume over and over, instead of pushing your resume aside and running away, recruiters just push your resume aside. Regular readers will recognize the HRNasty mentality, but we want to use our valuable resume real estate resume efficiently. Listing the same accomplishment over and over is a waste of space that could otherwise be used to list accomplishments that will get us an offer letter. If we do list an accomplishment more than once, a good practice is to list your accomplishment with different context and to give it a different look. Is it plagiarism when you copy your own work and list it on the same document? Which leads me to the second commonly made mistake I see on a resume. Listing "X" number of accomplishments in our most recent experience and listing the same number of accomplishment under the experience that is 10 years old. This job resume format is overwhelming and leaves the reader with the wrong impression. Over the course of a 10 to 15 year career, we have worked with a number of different companies, held a number of different positions and multiple titles. We show career progression by listing our job history in chronological order. Our most recent experience is listed the top and our oldest experience is listed at the bottom. Although what we were doing professionally 10 years ago may be relevant to what we want to do today, these 10 year old accomplishment don’t tie in directly to the position of interest. Over the course of the past 10 years, our skill sets have advanced. Hopefully, what we are interested in doing today takes more skill, more scale, or more drive than what we were doing 10 years ago. The requirements for the job we are applying for today should be more sophisticated than the positions we were applying to 10 years ago. The accomplishment from yesteryear just won’t prove you are qualified to do a job requiring your 10 plus years of experience. When listing a position we held 10 years ago, in most cases, that experience should have fewer accomplishments than our most recent experience. Lets say that over the course of our 15-year career, we held 4 different positions. Our first job was in our industry of interest but probably entry level. Although related, these accomplishments our junior to our current skill set and should be removed. One way to create the illusion and reinforce career progression is by listing more accomplishments with our most recent experience (the experience we will be hired for) and listing fewer accomplishments with our older experience. This older experience shows you have been in the discipline for a number of years, but the accomplishments are probably junior to the current skill set and outdated. Below is an example of how to give the illusion of job progression. Notice how our list of accomplishments increases over time, giving the illusion that we are doing more now than we were in the past. It isn’t that we accomplished less, we just didn’t accomplish as much that is directly related to the current job of interest. With this format, we are providing the subconscious example that we have taken on more and more responsibility over time and our career has progressed. With this format, we are efficiently using the space available to deliver more information that is directly related to the job of interest. Acme Publishing is a Fortune 500 online publisher of books, magazines and niche online eBooks. FWE Editing is a boutique editing service specializing in publishers in Food, Wine, and the Entertainment industry. Notable clients include celebrity chefs and Zagat reviewed restaurants. TheBestReceipies.com in an online recipe site for foodies to exchange recipes with a readership of 3 million registered members localized in 15 different countries. The Springfield Gazette is a city newspaper of with a circulation of 10,000. The resume format above shows career progression 2 ways. The first is with the increase in job titles, the second is through the illusion created via the number of bullets in each job. Accomplishments from the Springfield Gazette as the Assistant to Junior Copy Editor and TheBestReceipies as the copy editor are probably not answering any bullets in the job description requiring 10 - 15 years of experience. We do want to list these two positions so we can show that we have a passion for publishing and have been in the industry for a number of years. This is useful when the job description looks for 15 years of industry experience. If earlier experience is completely unrelated or too junior to the job of interest, there is no law that says you are required to include all experience. As a person that reviews resumes, I am more inclined to keep reading a resume where a candidate lists the specific experience I am looking for versus accomplishments more suitable for a junior role. Let me know in the comments below if you are going to make any adjustments to your resume after reading this post. HRNasty nasty: an unreal maneuver of incredible technique, something that is ridiculously good, tricky and manipulative but with a result that can’t help but be admired, a phrase used to describe someone that is good at something. “He has a nasty forkball”.